Chancing upon some of Singapore’s striking street art as you take a stroll through the city is nothing new. Whether you’re an art aficionado or a novice, everyone has a great eye for gorgeous visuals. 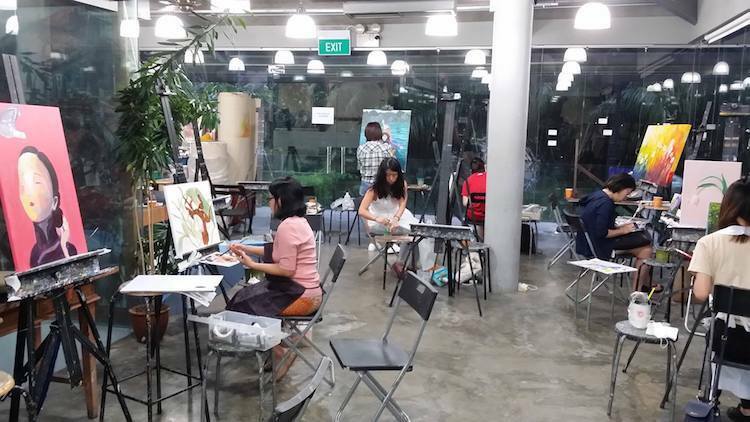 Besides polishing your painting skills, art jamming is a top way to socialise, de-stress and explore your artistry. 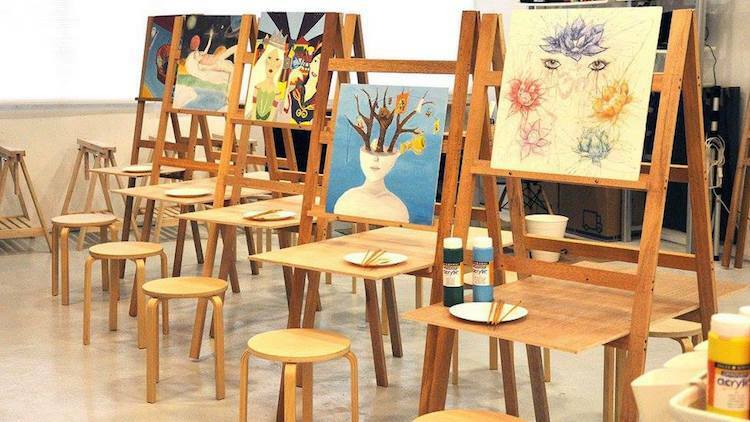 Simply take a break from your daily grind, and let your creative juices flow at these art jamming studios. Sited at the city’s coolest art district, amongst hipster cafes and vintage shops, Liberty Art Jam by Artify Studio is one to visit when you’re itching to unleash your inner Picasso. 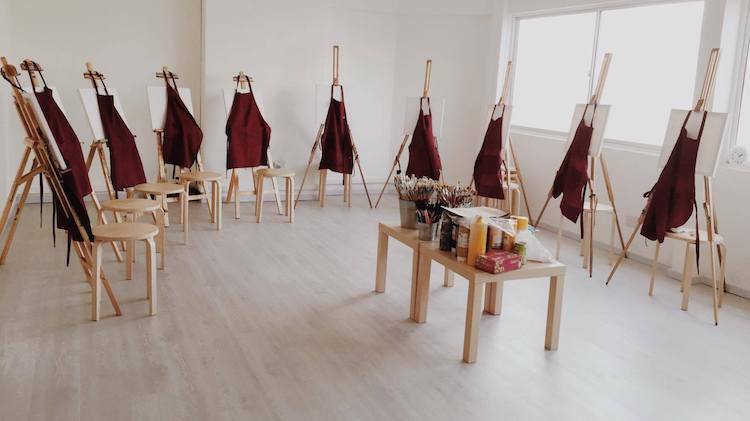 But get this: it’s also Singapore’s first art studio to run on an honour system, where you either observe the giving guide of $35 or go for a pay-what-you-wish option. Think of it as painting for a good cause too – payments are made post-painting, with proceeds going to charity. While Orchard Road pulses with life, find tranquillity at Arteastiq, a boutique tea house that offers respite from the hustle and bustle. 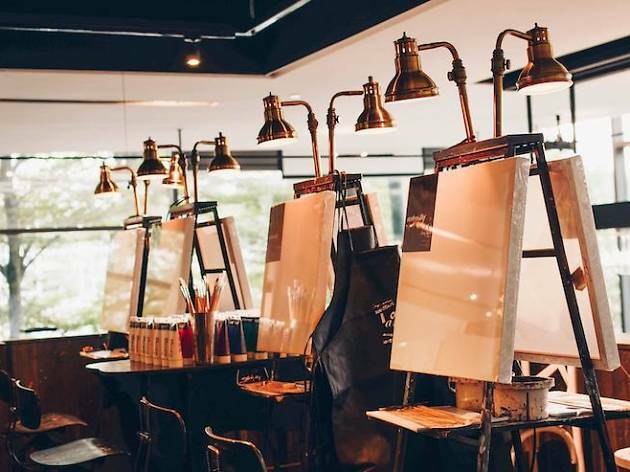 The name reflects how the concept combines a premium tea lounge with an art jam studio, encouraging people to gather for a therapeutic experience. 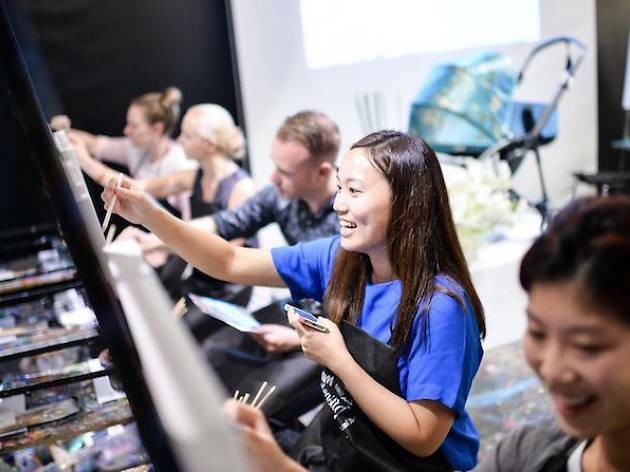 During its Arterpret sessions, a certified trainers not only puts you through the ropes of painting, but aids you in interpreting and expressing your personality on the blank canvas. After spending the day painting, refuel with your pick from the dinner menu. 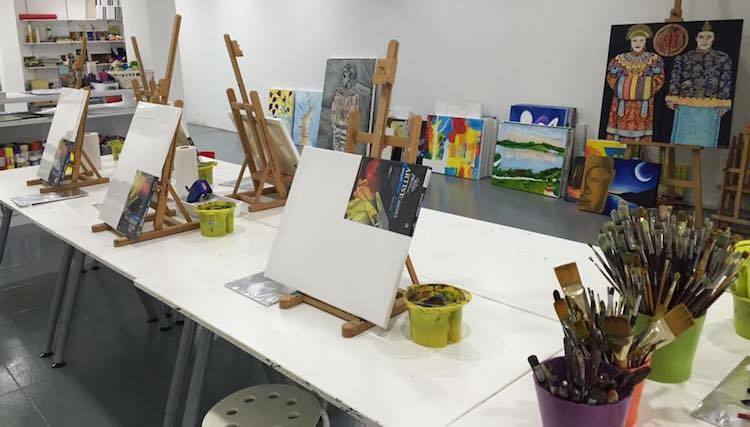 A combo of wine and dine at Quayside Isle may be the perfect therapeutic experience, but take it up a notch with an art jamming session at Museo. Local art café pioneer Arteastiq puts up a new set of easels here where social painters can spend an unlimited amount of time working on their art. 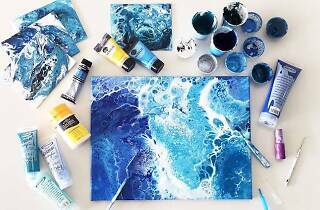 No strings attached, simply let your imagination run wild, and create your next masterpiece with the canvases, paints and brushes provided. To keep those creative juices flowing, each session comes with a complimentary beverage. 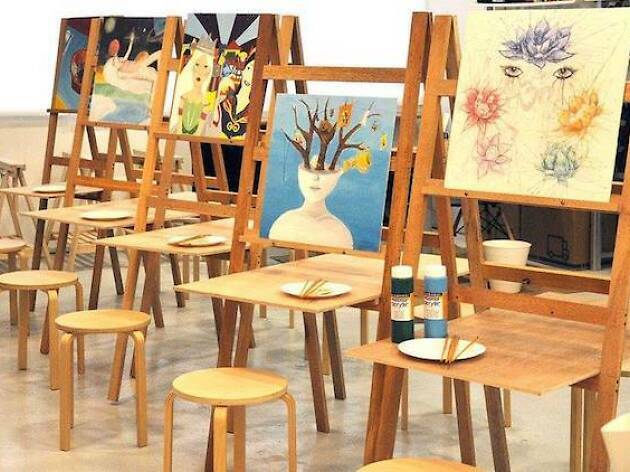 Talk about dedication – this art studio is all about helping you discover the artist in you. 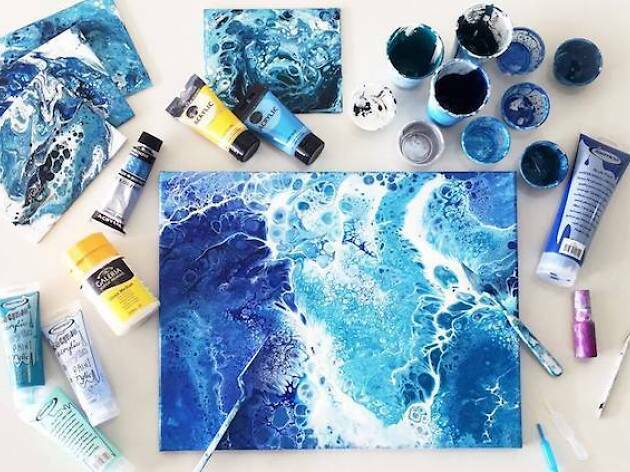 Aside from hosting craft workshops with a contemporary twist, Artefakts allows all budding artists and pros alike to shine via its relaxing art jamming sessions. 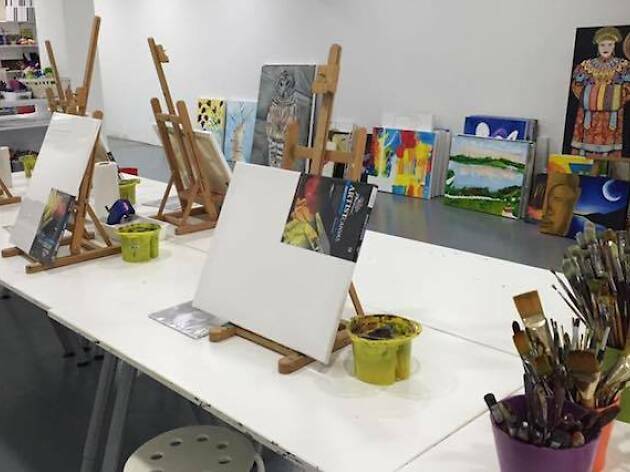 To amplify your experience, each two-and-a-half hour session is accompanied with jazz or lounge music, complimentary snacks and a choice between a hot cuppa or iced lemon tea as you work those paintbrushes. Looking like something out of a Monet painting, the picturesque waterfront studio is located amidst flora and fauna where it overlooks the Istana Park. 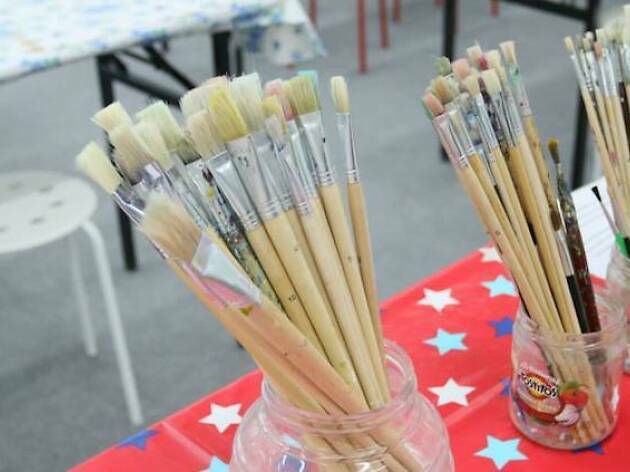 Combining relaxing music and therapeutic painting with a view, art jamming here is an ace way to de-stress. With all materials available, all you have to do is bring a whole lot of curiousity, imagination and creativity. Plus, with fresh fruit juices to keep you going, can you really say no? Founded by artist Carolyn Law, Arthaus has all the tools to explore and express creativity in a cosy, fuss-free environment. 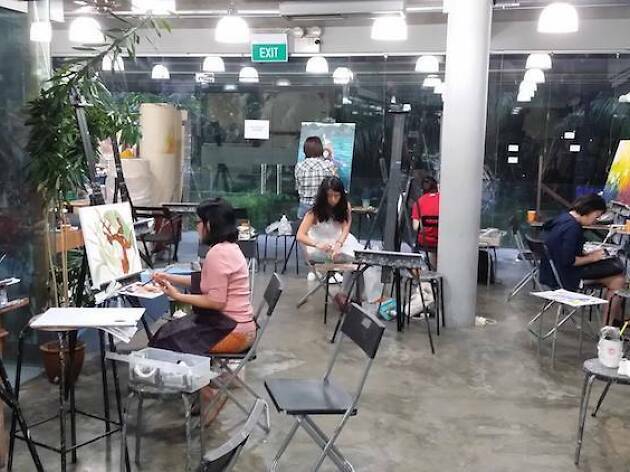 Besides covering techniques ranging from portraiture painting to watercolouring, Arthaus also hosts art jamming workshops for both adults and children. Whether you’re planning the next corporate activity, private party or simply taking your painting skills up a notch, Arthaus has them all. Need extra help? Its experienced instructors are more than happy to assist. 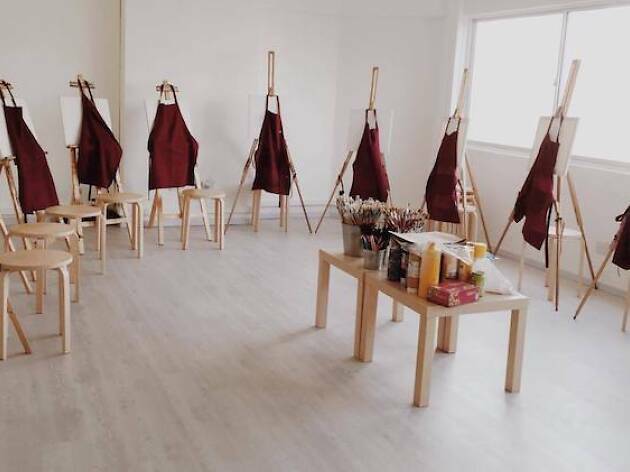 A stress-free art gig that's suitable for all ages, Art Jam Studio offers open, non-guided art jamming sessions with all materials provided, including aprons in case things get messy. Alternatively, you can opt for a guided session where everyone is schooled on the basics and paints the same picture (rotated every week, of course). Catered food is also available for group art jams to dodge any hangry artist.